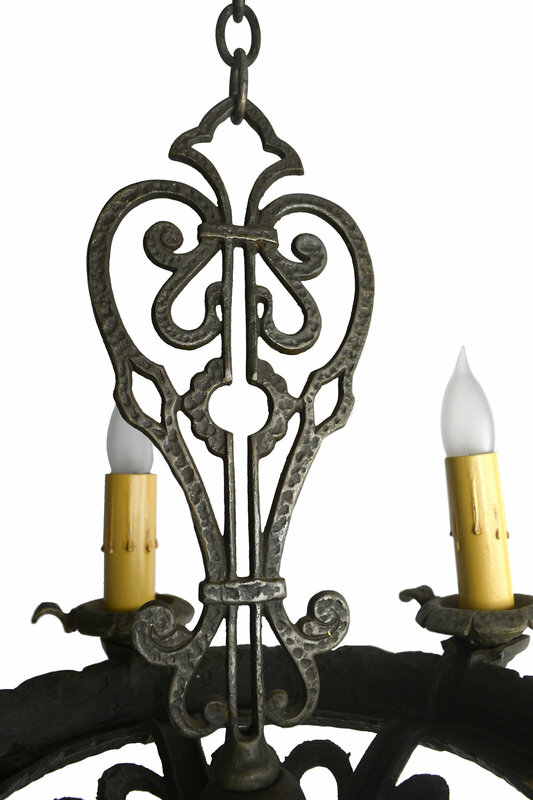 This hammered iron chandelier features a winding symmetrical design and a unique bell shape at its center. A handsomely crafted finial hangs below. Be sure to include the Product ID AA#48187 when making your offer.